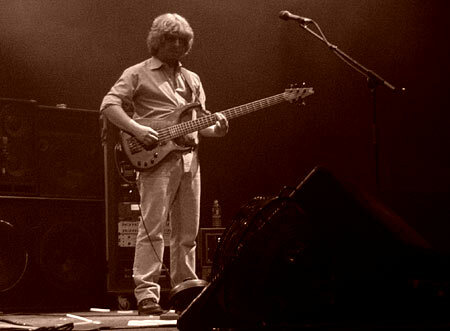 "it's hard to deny this show's place in Phish history"
We decided to roll out this week’s Phish Friday a day early in honor of today’s ten-year anniversary for a show that has gained a reputation over the years for better (Best Show in 2.0) or worse (Most Overrated Ever) — February 28, 2003 at the Nassau Coliseum in Uniondale, New York. Wherever you stand on the subject, it’s hard to deny this show’s place in Phish history. Phish set the table on Wednesday in Worcester, MA (LISTEN) then traveled south for a Friday night in Long Island, NY. February 28th was my 10th show, a relative newb still wishing to capture the remaining magic Phish had left in the tank. After a “Birds of a Feather” warmup that contained extra gusto from the get-got the band immediately showed everyone they meant business dropping into “Destiny Unbound.” Whether you recognized the song or not (and most didn’t as @originalwyllys will attest) it was an obvious sign of things to come. One fan fairly close to me knew instantly and started yelling out “DESTINY — OH MY — IT IS!” with a smile that filled the Coliseum all by itself. He was feverishly jumping up and down, yelping and hugging those around him (including me.) Our team had just won the pennant! For stat geeks “Destiny Unbound” hadn’t been played in 796 shows, which before Phish played “Skin it Back” at Jones Beach last year, looked a lot cooler in the box score. “Bathtub Gin” was the next highlight evoking some of the best Cactus/Fish chemistry of the night and one of the songs that gets lost amongst all the 2/28 headlines. This 21-minute Gin hits several highs and as they say is top-shelf. To cure the Gin hangover, Phish bled into “Sleep” then showed anything they touched that night would be gold, performing an all-time version of “Back on the Train” that still hasn’t been topped (IMO). The real nuts of the show was yet to come and folks could sense it at set break. Something was in the air that night. Five-song-set. Those three words are a ticket to a Phish fan’s wetdream. “Tweezer” roared out of the gates and just like “Birds” earlier had more behind it right from the start. Little did we know the band was about to weave three entirely different and mesmerizing jams together (teasing “Do You Feel Like We Do” in the later part of the process), forming arguably the best version of “Tweezer” our hearts could handle in two-point-oh. Some of the playing that transpired — I swore they HAD to have rehearsed it — but that’s usually just the sign of a masterful version. Each member, Fish, Gordon, Trey and Page created a sound, several times over, each locked into what the other was doing — “That’s why I travel…to…see…the…band” The show’s momentum didn’t stop there as the “breather song” after the 26-minute Freezer onslaught was Bob Marley’s “Soul Shakedown Party”, which at the time, was being played for only the second time ever. “Destiny” AND “Soul Shakedown? — AKA, Two middle-fingers to those who couldn’t attend. Then with the audience in the palm of their collective hands, Phish dropped a version of “David Bowie” that would have been the jam of the night if Phish hadn’t thrown down an epic journey into the freezer just prior. For almost 20 minutes, UB40 takes a few turns then rides an evil wave (around the 6 minute mark) straight to it’s conclusion. It’s a must-hear and usually gets lost in the shuffle of “Best Bowies” because of what came before it. You could also just buy the soundboard version directly from LivePhish.com. 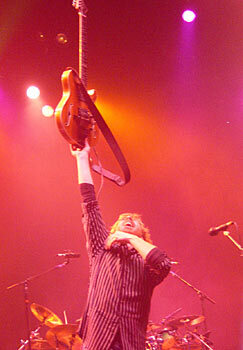 We’ll have a special Trey related Ticket Giveaway for you tomorrow so stay tuned!